Alyce Foshee received her Juris Doctorate degree and graduated with highest honors from Golden Gate University, School of Law in 2014. During law school, Ms. Foshee earned a specialization certificate in business law and served as a staff writer and Executive Ninth Circuit Survey Editor for the Golden Gate University Law Review. Ms. Foshee earned her Bachelor of Arts degree in Political Science with a Minor in Business Administration from San Diego State University. Ms. Foshee joined Phillips, Spallas & Angstadt in 2015 where her practice includes personal injury, premises liability, and products liability defense. Ms. Foshee was previously an associate attorney with Ari Law, P.C. where her practice focused on business and commercial litigation and corporate law. 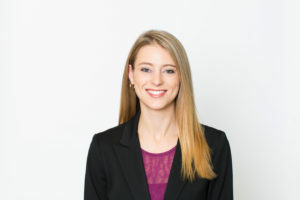 Ms. Foshee is admitted to practice before all California state courts and the United States District Court for the Northern District of California.